Innovative, based in Dublin city centre, is set to double its workforce. 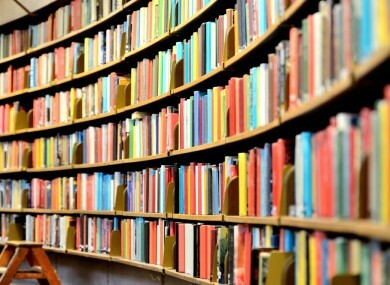 A LIBRARY TECHNOLOGY company is to create 25 new jobs at its European headquarters in Dublin. Innovative, a California company which was founded in 1978, makes software which helps to manage a library and which is used in more than 60 countries. Taoiseach Enda Kenny made the announcement this morning and said that it was “another vote of confidence in Ireland’s strengths as a location for investment”. The company is located at George’s Quay in Dublin city centre and already employs 25 people. Kim Massana, the CEO of Innovative, said the company had been impressed by the business environment since it moved its EMEA headquarters here in 2012. “Dublin has a rich talent pool and we have been able to recruit an exceptionally skilled and multi-lingual staff to serve our customers through Europe – our current staff of 25 is fluent in 15 languages”. The new jobs are supported by the Department of Jobs through IDA Ireland. Email “Good news: Library company to create 25 new jobs at its Dublin HQ”. Feedback on “Good news: Library company to create 25 new jobs at its Dublin HQ”.